There is also an Office Mechanics video that shows you all the features. Demonstrates how OneDrive for Business is really a great cross platform tool for sharing and syncing files. You can consider SharePoint as an extension of the Office applications you have on your desktop. One of these that provides a huge amount of power but gets used infrequently is Microsoft Access. 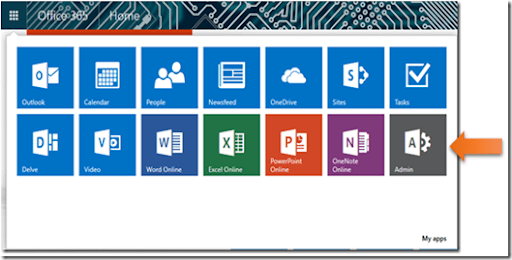 Many don’t appreciate that you can easily connect a SharePoint list to Microsoft Access on the desktop. Doing so allows you to use SharePoint as the data repository and Access as the analytical front end, allowing to create complex structures and queries as well as producing mind blowing reports and data analysis quickly and easily. 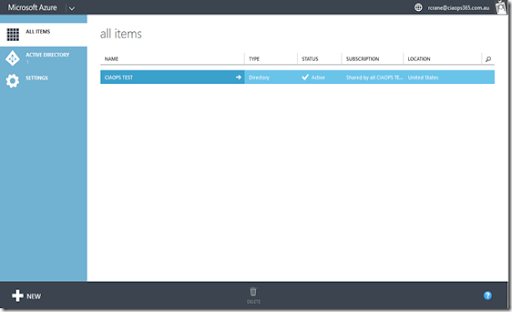 This tutorial will show you the basic steps of connecting SharePoint to your desktop version of Access. You see how that when you do it establishes an bi-directional link that means data is updated no matter where it is changed. This is only the beginning of what is possible when you combine Access and SharePoint, however it is a very good place to start. Watch out for more content on this topic very soon. I got up very, very early this morning my time to be the guest on Karl Palachuk’s Webinar series – The Globalization of SMB – a Webinar Series. or listen to the MP3. of which I have been an avid reader for over 25 years. and the one travel tip I have is that no matter how tired you are when you arrive at your destination, only sleep when it is dark. It is painful the first day but gets you in sync much faster. I thank Karl Palachuk for the opportunity to be a guest and hope that everyone got value from my experiences and opinions. Of course if you have any feedback or question please feel free to contact me directly (director@ciaops.com). James Eling returns to discuss the importance of building a strong business culture. James shares his experiences, wins and losses, in achieving this within his own business. In this episode you’ll get some really great insights and information that you can implement inside any business immediately. Most importantly, you’ll understand what does and doesn’t work when it comes to building a viable and successful culture within a business from someone who has already done that. Plenty of learnings from an experienced operator here. As you hopefully already know, Microsoft has announced a raft of new datacenters for Office 365. One of the most exciting for users down under is the opening of Office 365 datacenters in Australia and the relocation of Australian Office 365 tenants from their current location in Singapore to Australia starting at the end of March 2015. Where you’ll find information about how the move will take place, what impact there will be, what you have to do (if anything) and the expected communications that will come from Microsoft. There is also a specific Australian FAQ that locals should look at. Microsoft will select tenants to relocate depending on certain factors that will allow them to test their processes, so you may not get selected and it is not on a first come first basis. I have applied, so fingers crossed that I’ll be one of the first to experience the differences and can report back here. So check out the information Microsoft has provided and check back regularly as it is being updated daily. If you have any questions about the upcoming migration to Australian data centers, start there. if you are running Hyper V on premise you could use Azure to host the replicas. Previously, you needed System Center Virtual Machine Manager to configure this but now no more. 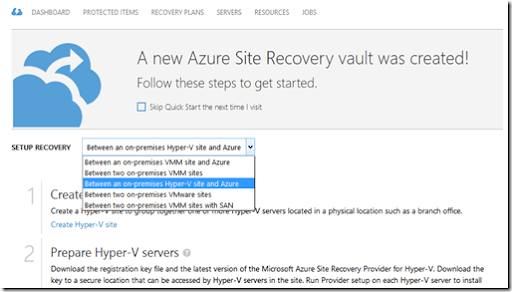 As you can see from the above screen shot once you have created your Azure Site Recovery vault you can select to setup recovery Between an on-premise Hyper-V site and Azure. Give it a go and tell me what you think! 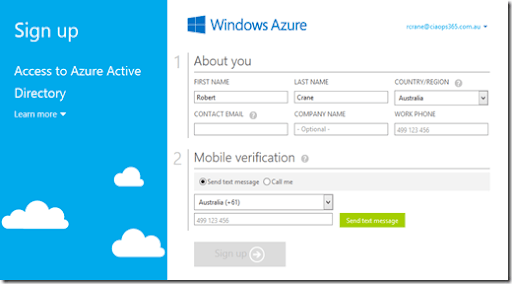 Many don’t realise that Office 365 identity is built on top of Azure Active Directory. 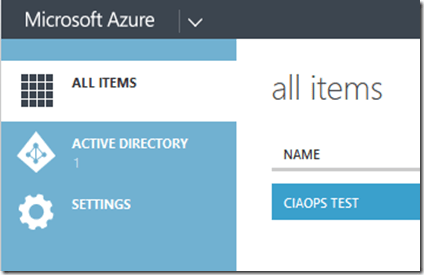 This means that every Office 365 tenant is using Azure Active Directory. 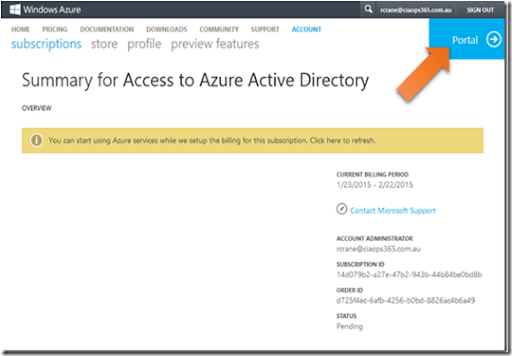 What many also don’t realise is that you can easily access the Azure Active Directory by simply enabling it from your Office 365 Admin console. Here’s how you do this. Login to Office 365 as a global administrator. Navigate to the Office 365 Admin, in my case by selecting the Admin icon from the app launcher. In the lower left of this window, under the Admin section, you should find the Azure AD link as shown above. Select this. 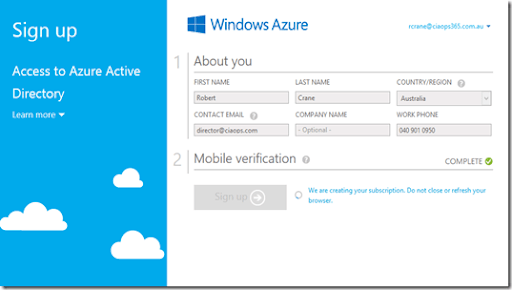 You’ll now be taken to a screen like that shown above where you sign up to Azure. You’ll need to enter your details (email, phone, etc). You’ll also need to specific a mobile phone which a verification code can be sent to. Once all the details are entered and you have complete the verification via mobile phone select the Sign up button. You’ll notice here that you don’t need to put in any credit card details like you do when you sign up for a free trial. This is because you are getting the free Azure Active Directory Edition only. You see your request begin to process. After a short while you should see a screen like that shown above. 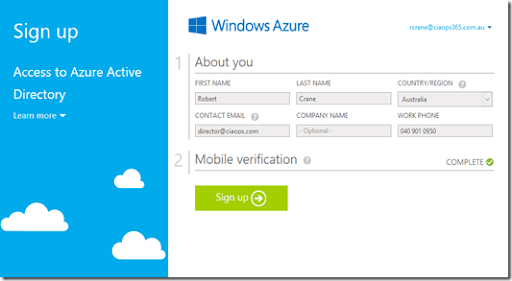 You can see that what you have signed up for is Access to Azure Active Directory. It will take a few minutes to complete the provisioning and you can press the Refresh link to get an update on the status. When processing is complete you’ll see the above screen. Select the Portal link in the top right of the window to proceed. You’ll most likely be prompted to work your way through an introductory tutorial. 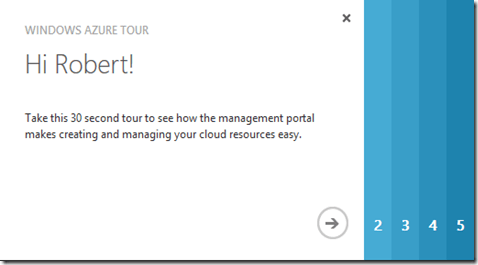 You should then see the Azure management portal as shown above. You won’t however see all the standard Azure options on left, you’ll only see what is shown above. The main one of interest is Active Directory so select that. You should now see your Active Directory listed. There should only be one, so select the name to drill into its properties. You’ll be taken to the Dashboard. However, here select Users from across the top. You should now see a list of your Office 365 users. Now you can administer and work with tenant users from Azure or Office 365 (as well as PowerShell in both environments). There is also a whole more configuring that is available for your users from this Azure portal but I’ll cover that in upcoming posts. but I can tell you, there is still lots that can be done for free and I’ll cover that in upcoming posts. The course is aimed at those who have little or no knowledge of Azure and want to get up to speed quickly. It will include a single download package that includes videos, course notes, references and more. Now, to give me a kick in the pants to get the course out the door as soon as possible I am offering a pre-order special of AU$59 from today until the course is launched. At that point I will be raising the price to at least AU$99. If you have any suggestions for what topics you’d like to see covered please let me know (director@ciaops.com) so I can incorporate it. So, if you are at all interested in getting up to speed on Azure I urge you to subscribe and give me a hurry up to get the material out!